Government House in Victoria, British Columbia (the state residence of the Lieutenant Governor of British Columbia) contains some good evidence for the fundamental constitutional arrangements of Canada and the United Kingdom, namely a Personal Union of separate Crowns, which are in turn corporations sole. 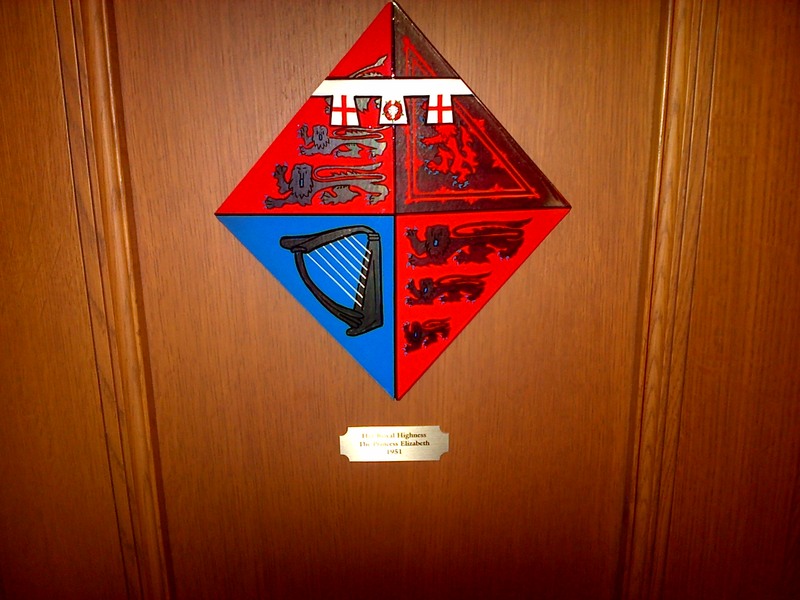 The grand staircase of Government House includes the heraldry of all the members of the Royal Family who have stayed at the residence, as well as the personal heraldry of various Governors General. 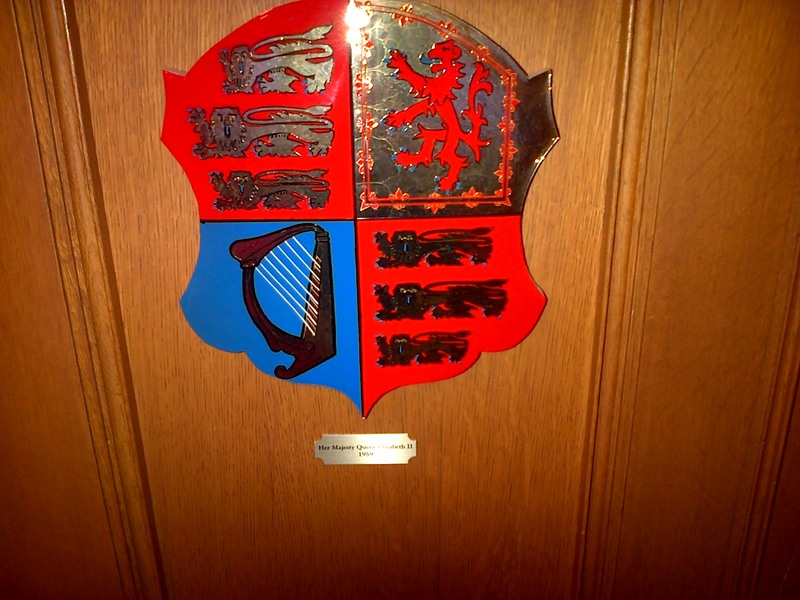 The personal crest of Princess Elizabeth of 1947 differs from the official crest of Queen Elizabeth II of the United Kingdom, and the Queen of Canada bears a different crest still. The Queen of the United Kingdom displays the heraldry of the Royal Standard; crucially, her predecessor Sovereigns have, and her own heirs and successors will, bear the same Royal Standard because it belongs to the office of Queen or King (or “Crown”) of the United Kingdom. As such, the Royal Standard never flies at half-staff, because automatic hereditary succession as prescribed by law ensures that the Queen never dies. This necessary heraldic tradition caused much consternation among the British popular press and public in 1997, when they complained that Buckingham Palace did not fly a flag at half-staff in mourning of the late Princess Diana. Prior to 1997, the Royal Residence would either fly the Royal Standard when the Sovereign was present, or it would fly nothing. Since 1997, the Palace has created a new procedure whereby the Royal Palace may fly the Union Flag at half-staff as a symbol of mourning – but the Royal Standard can only ever fly at full-staff. 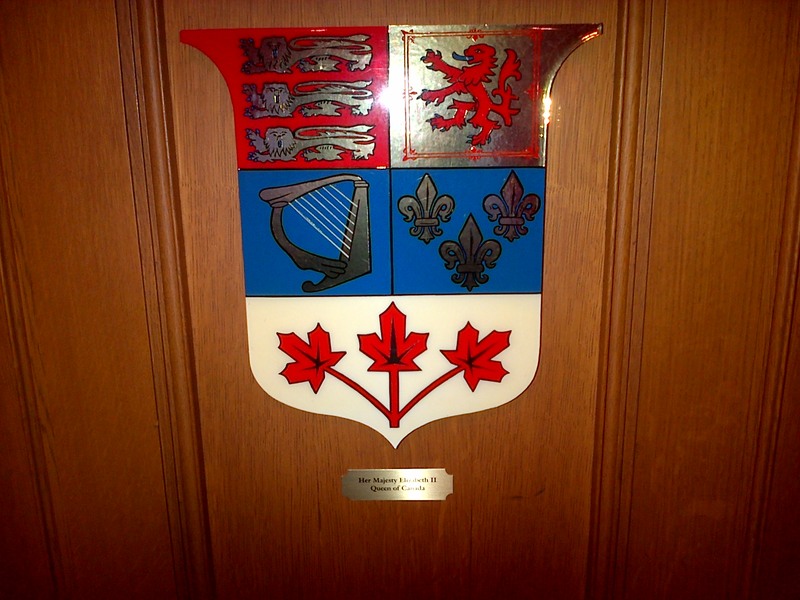 The Canadian Royal Standard draws inspiration from the British Royal Standard but includes the Fleur-de-lys as a symbol of French Canada and the sheath of Maple Leaves. The Canadian Royal Standard represents the Crown of Canada, in other words, the Sovereign for the time being and her heirs and successors. Anne Twomey recently did an interview on the CBC regarding Canada’s useless statute on succession that promulgated nothing into law. Twomey mostly reiterated the arguments that she made in her blog entry, “The Royal Succession and the De-Patriation of Canada’s Constitution.” Twomey explained that the federal and state governments in our sister Realm of Australia would never accept the absurd argument of the Government of Canada that succession does not form part of Australian law but only British law. Thankfully, Australia has decided to alter its succession law under section 51(38) of its Constitution Act. Twomey explained that Canada’s statute on succession has promulgated nothing into law and that the Personal Union of the Crowns will therefore break, barring subsequent intervention, at the children of the Duke and Duchess of Cambridge. Canada has retained the unreformed rules of succession of male-preference cognatic primogeniture, while the United Kingdom has reformed its succession in line with equal primogeniture. If the Duke and Duchess of Cambridge have a daughter followed by a son, the first-born child (the daughter) would become Queen of the United Kingdom, while the first-born son would become King of Canada. If the first child of the Duke and Duchess of Cambridge is a son, then he would become King of the United Kingdom under the reformed rules and King of Canada under the unreformed rules, and so the Personal Union would not break upon his accession to the various thrones. And if the Duke and Duchess of Cambridge have only daughters, then the first-born daughter would become Queen of the United Kingdom under the reform British succession and Queen of Canada under the unreformed succession, because male-preference cognatic primogeniture does not preclude women from inheritance and the demise of property altogether. But so long as the Canadian and British rules do not match and continue to contradict one another, the Personal Union will eventually break. Taken to their logical extensions, the Government of Canada’s pernicious arguments would undermine not only Canada’s independence and the Crown of Canada as a separate legal entity, but the independence of Australia and New Zealand as well. Indeed, some Canadian scholars have tried to characterize Australia’s and New Zealand’s position on succession as anomalous – when in fact, the Government of Canada’s current position is at variance not only with Australia and New Zealand, but the previous positions of the Government of Canada! I will soon upload the parliamentary Hansard from 1937 and demonstrate that Prime Minister Mackenzie King, Minister of Justice Ernest Lapointe, and the Government of Canada believed that His Majesty’s Instrument of Abdication Act ensured that succession to the Crown extended to Canada as part of its law. Maybe the Government of Canada will find its own earlier position on succession (which contradicts its current position) persuasive. This entry was posted in Corporation Sole, Crown (Powers and Office), Succession (Sovereign). Bookmark the permalink. Canada’s Succession to the Throne Act, 1937, does not answer the question I posed because that Act does not independently set out a line of succession. It simply points to the British line of succession after the abdication. This makes it appear that Canada has been relying on the UK laws of succession, which shall “disappear” after the law is changed there. That would leave us with no law of succession. Answer: The Succession to the Throne Act, 1937. One little question so you can plug a possible hole in your presentation: What law in Canada proscribes who are the successors to the current Queen of Canada? I know that sounds dumb, but if the UK is amending its law of succession and Canada is not, what Act (or Acts) is it that Canada isn’t amending?